The Danish manufacturer which has been very quiet these last years has decided to come back and take front stage with a new speaker model from the BM Series. The DBM50's most unique characteristic is that it has an angled front baffle and it was designed to sit on a desk. Is it a good idea? 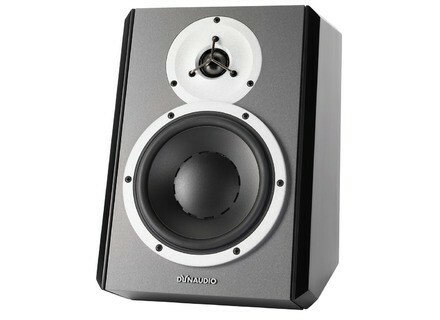 The BM5A and BM6A are still reference models when it comes to near-field studio monitors, so Dynaudio wasn't very active in this market segment the last couple of years; meanwhile competitors were frequently renewing their product ranges. That's why we were very pleased to get a new product from the Danish manufacturer whose know-how and skills are tried-and-true. 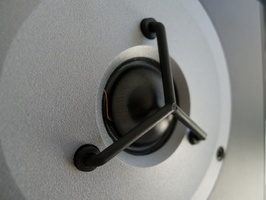 There's not much to say about the overall look of the product, since they look very similar to the BM MKII: dark finish, with a typical Dynaudio woofer and the round gray plate around the tweeter.Surprise, surprise: the DBM50 distinguishes itself from Dynaudio's product range — and also from similar products — with an original design based on the fact that most home-studio owners place their speakers on their desks, next to their computer, without any speaker stands. 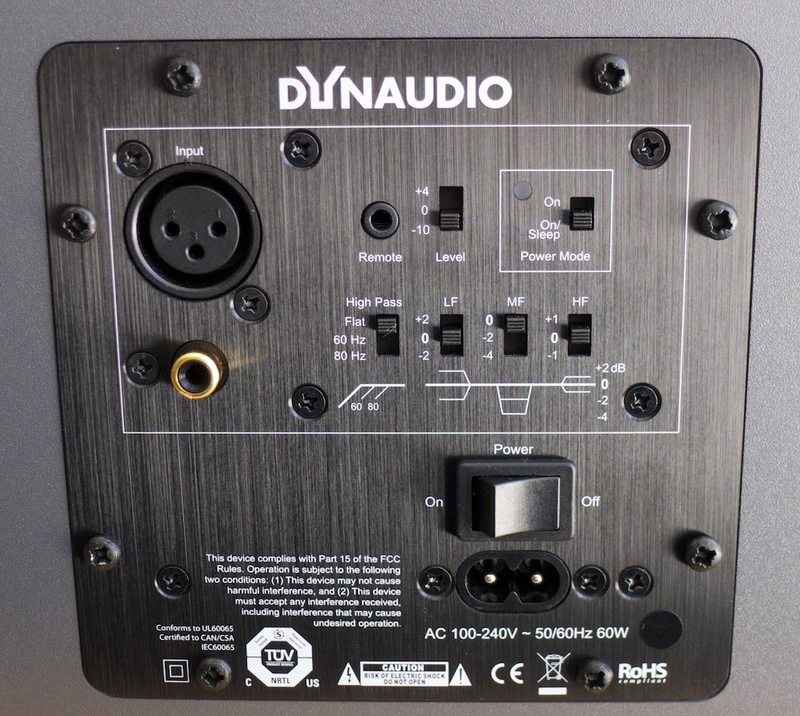 Dynaudio's front-panel angled design allows to direct both transducers towards the ears of the user, which is crucial for monitor positioning. For standard speakers cabinets, some foam manufacturers offer tilting mats that also reduce resonances. By the way, we recommend all home-studio owners to buy such accessories: even though they can't quite match the performance of a speaker stand, they are easier to set up and less expensive. For people who want to use the DBM50 on speaker stands, do notice that you can place them horizontally. The DBM50 are active two-way speakers with a 1" silk-dome tweeter and a 7.5" woofer driven by two 50-watt (RMS) amplifiers. The internal volume of the cabinet is 13.9 liters. The cabinet's resonance frequency is 39 Hz, which is below the frequency response (46 Hz - 21 kHz). Its dimensions are 9.1" x 13.7" x 13.2" and the crossover frequency is set at 1500 Hz. As usual, the controls and connections are on the rear side. The power switch is also on the rear panel, which is still not very practical. Luckily, the speakers have a sleep mode: they are automatically set to "sleep" after 20 min. without a signal — this somehow compensates for the power switch on the rear! Also notice that you'll find no volume control on the speakers. 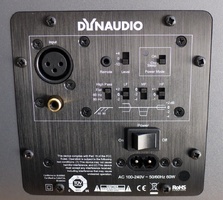 This means that if your audio interface has no level control (RME FireFace 800 for example), you'll have to buy a volume control like TC Electronic's Pilot (works very good) or the optional Dynaudio solution. It's a real pity that they are not included! As for connections, you get balanced XLR and unbalanced RCA inputs. Instead of the latter, we would prefer a more robust 1/4" jack. You can adjust the input level using a three-way selector (+4, 0 or -10 dB). Last but not least, the DBM50 are equipped with a four-band EQ: a low-cut @ 60 or 80 Hz (in case you're using the speaker with a subwoofer; otherwise, set it off), a low-frequency shelving filter (+/-2 dB @ 150 Hz), a low-mid filter to reduce the reflections caused by a mixing desk (0, -2 or -4 dB @ 450 Hz with Q = 0.7), and a high-frequency shelving filter (+/-1 dB @ 1.5 kHz). The DBM50 definitely have a comprehensive features set! 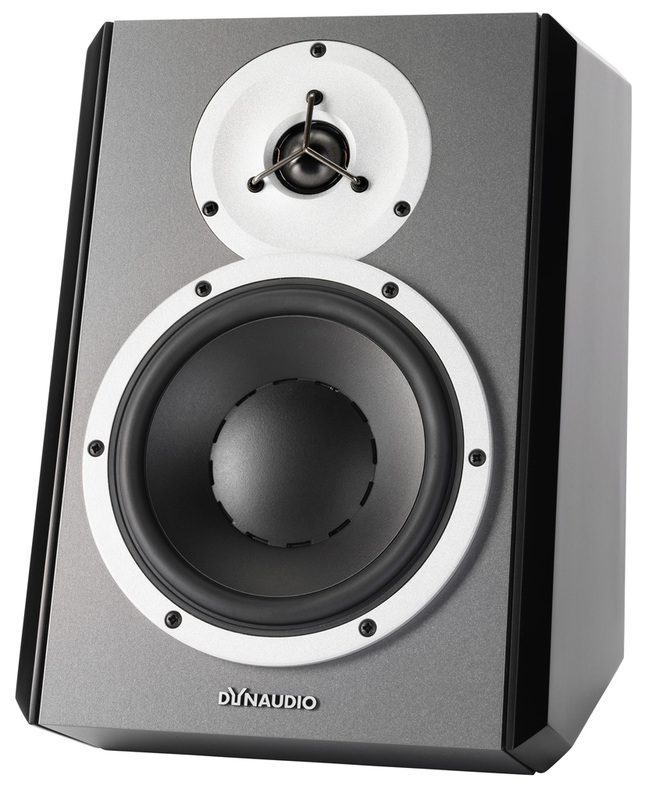 The new Dynaudio offer several advantages and they are naturally angled to distinguish themselves from competitors on a fully saturated market. The idea is quite good for home-studio owners who want to put their speakers directly on their desk! We also like the look, the manufacturing quality and the sleep mode making up for the inconvenient rear power switch. It's a pity that no remote control is included, all the more considering that the speakers have no volume control... The sound is well-balanced for a speaker sold for about $600. As usual, the response is contoured around the crossover frequency (1.5 kHz), the low-frequency reproduction is quite good and not overemphasized (unlike the ADAM A7X); however, some users might find that the high-end should be a bit more present. Luckily, the EQ settings allow you to adjust the frequency response if needed. 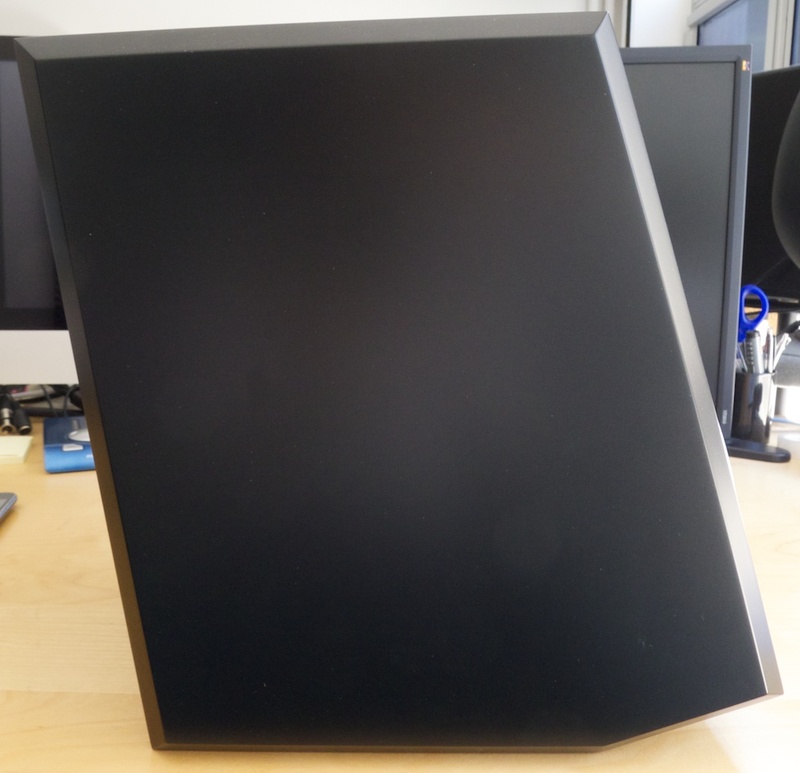 A top monitor without a doubt.